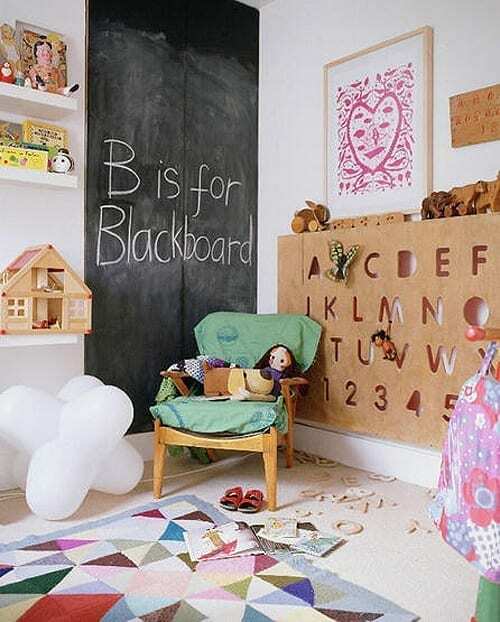 Creating the perfect playroom or den area for your children to hang out in takes a little thought. We aren’t blessed with a room large enough to house a dedicated playroom and the children are getting a little older now but given the chance this is one space I’d definitely like to create. I’ve collated quite a few lovely images on one of my pinterest boards for Kids Playrooms and if you want to follow it or my other boards you can do so here. As I’m always saying, you can never have enough storage, and the playroom is on the one place you need plenty. You’ll need storage for their toys in particular, and ensure it’s well labelled so you all know where things live. 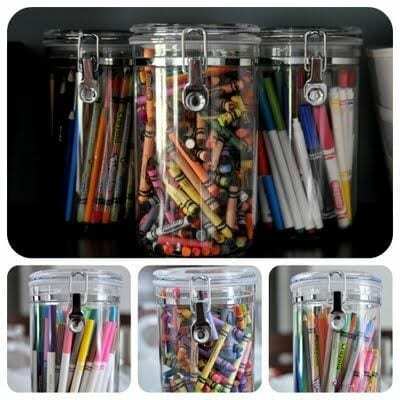 Organised and well labelled storage will also help the children get into the habit of tidying up properly. It’s also worth ensuring that the designated storage is big enough for the items. I know from experience that if the lego won’t fit into the lego storage box it won’t get put away and items start to get lost. In the playroom you’ll also need good craft storage too which you can either make and customise yourself or buy ready-made from various stores. 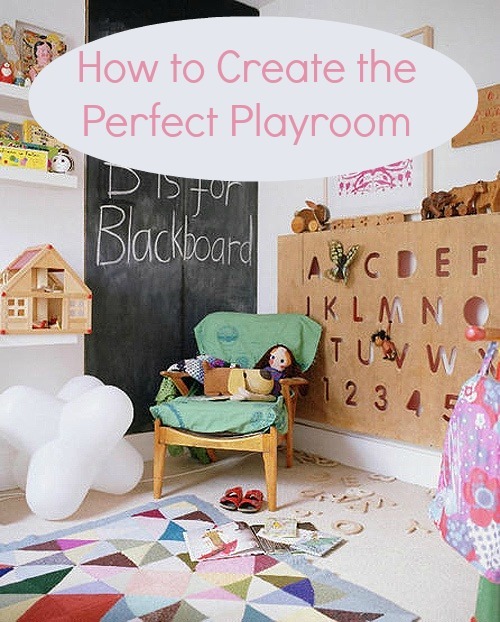 Customising and creating your own isn’t too onerous and is a great way to create your perfect playroom. To encourage quiet time and reading it’s lovely to create a little reading corner or chilling out zone in both a playroom and a bedroom if space will allow. 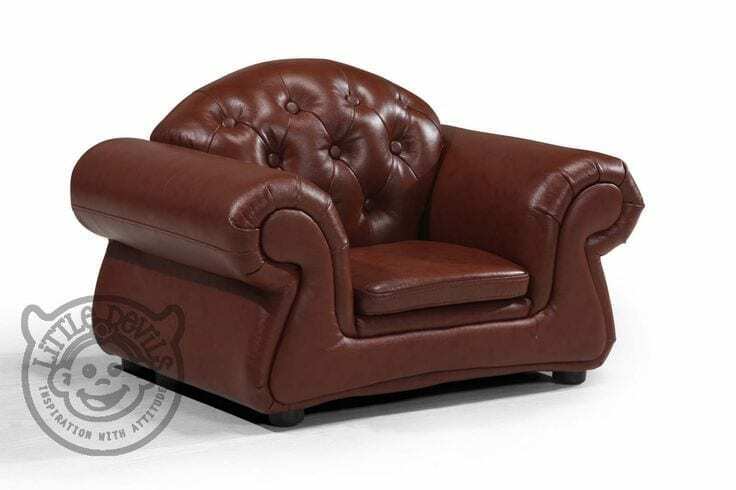 There are lots of different options available from beanbags to these very cute Mini Chesterfield chairs from Little Devils Direct. Whichever you choose ensure it fits your child well so they are comfortable and will use it and has lasting value. Another fabulous benefit in having a dedicated playroom is that you have the perfect spot to display children’s wall art and it’s a great way to decorate the room too. If you have opted for clean white walls this is the perfect way to add colour and vibrancy at no additional decorating cost. I love this idea of adding a clipboard display to a section of the room and displaying favourite artwork. It can easily be changed and updated and is a lovely way to pick their favourite pieces for special attention. 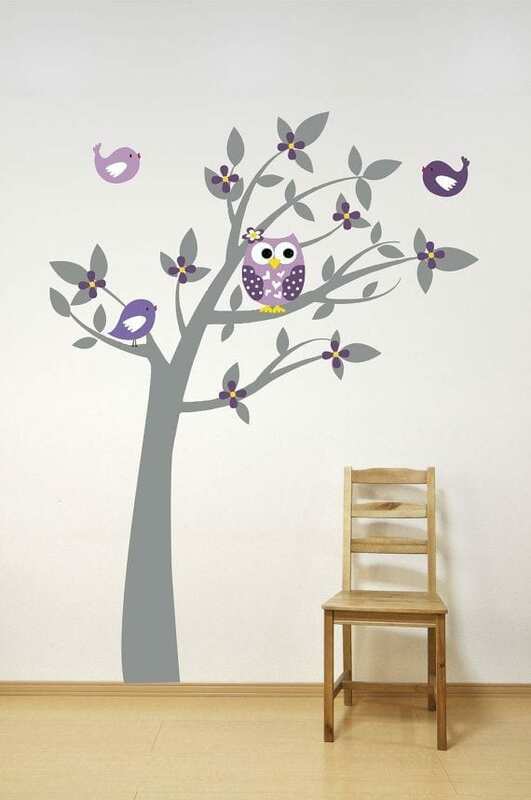 Another great way to add cost-effective interest to a playroom is through wall stickers. They are relatively cheap, easy to apply and remove and adaptable. As the children change and grow you can change them easily to reflect their developing tastes. There are loads of really good companies out there that sell wall stickers suitable for children, one of my favourites being Spin Collective. Although this example is pinned from Pinterest it gives you a good idea of how you can make good use of wall stickers in your perfect playroom. However you choose to decorate and furnish your playroom do have fun with it. It’s the one area of the home that you can really go to town with colour and accessories to make the room a great place to encourage creativity, learning and fun. I love the clipboard idea! 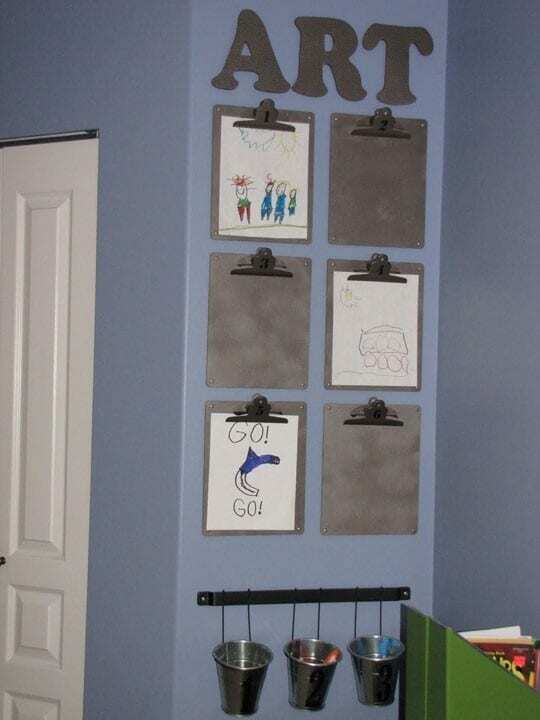 Great ideas for a kids room, I loved the clipboard display, especially to hang the kids drawings, my daughter scatters them everywhere, now I know what to do. Wall stichers and murrals are great to stimuli the kids mind.